29.04.2019, 17:24 через 7 Дней 18 Часов 49 мин. 44 сек. 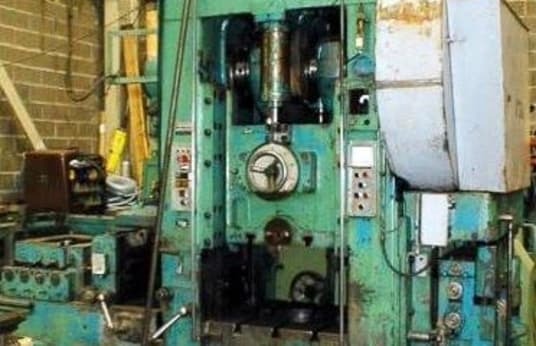 Straight-sided press, Maximum pressure 160 T, Variable stroke 20 à 120 mm, Friction clutch: Yes, Width between uprights 410 mm, Working speed 35 à 80 strokes/mn, Distance between uprights 750 mm, Ram adjustment 80 mm, Table area 710x660 mm, Ram surface 600x570 mm, Distance between table and ram 420 mm, Motor 20 cv. Stock number 21869. ATTENTION: Machine loaded by overhead crane.